Reimagine Your Bathroom, Kitchen, or Entire Home with an Interior Remodel. We’ll Help Create a Space You Love! Bay State Refinishing & Remodeling is Boston’s trusted source for bathroom, kitchen, and whole-home remodels. Since 1999, our award-winning home remodeling contractors have been providing quality workmanship, materials, and customer service to create beautiful spaces. We understand style goes hand-in-hand with convenience and functionality. We’re experts at integrating all of your needs into a flawless design you’ll love. Whether you’re looking for a modest upgrade or a total home makeover, we’ll help create a space that’s not only beautiful, but fits your family’s lifestyle. Does your bathroom feel outdated, cramped, or messy? 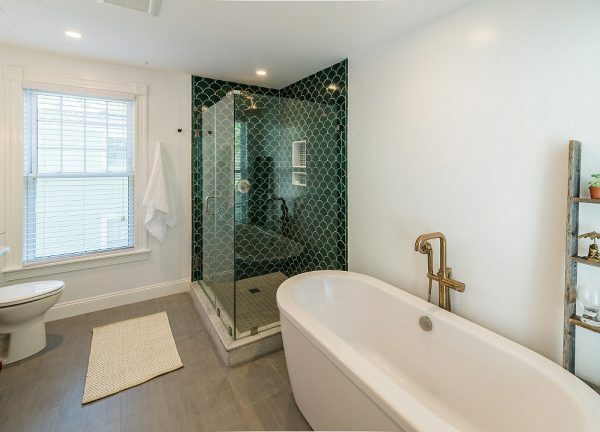 At Bay State Refinishing & Remodeling, we’ll take a personalized approach to updating and transforming your bathroom into a relaxing, luxurious space you’ll love spending time in. Our general remodeling contractors will take time to listen to your needs and vision, recommending the most cost-effective remodeling option for your space. We’re committed to always exceeding your expectations and never your budget! Whether you want additional storage space, an open layout, or a brand new style, our kitchen remodeling services can completely transform the look and feel of your home. We offer the best kitchen remodels in Boston and will transform your kitchen into a beautiful and inviting space. Plus, we offer the highest quality workmanship to ensure your remodel increases the value of your home and lasts for years to come. We take a personalized approach to your home remodeling project. We’ll listen to your unique needs, work together to create a plan, and take care of everything along the way. Our in-house architect, engineer, and designers are here to provide you with a full-package solution, from design to construction and completion. From custom built-in solutions and woodwork to interior finishing – whatever you envision for your entire home remodel, we’ll ensure the highest level of service and quality throughout the entire project. Every person we send to your home, including plumbers and electricians, are fully licensed. Plus, our entire team is covered under workers compensation insurance. Your Project Manager will be on-site from start to finish, ensuring the project runs smoothly, while the Remodeling Coordinator will manage all orders and shipments. As an established company, we offer a service guarantee you can trust. We’ll still be around a year from now to address any issues that might come up during your warranty period. We know the best results are achieved through open communication, so we offer multiple ways to easily talk with our team, including emails, text messages, and phone calls. When you work with Bay State Refinishing & Remodeling, our promise is to provide the highest standards of quality, integrity, and workmanship throughout your remodeling project. Our team is dedicated to your complete satisfaction, and it shows! 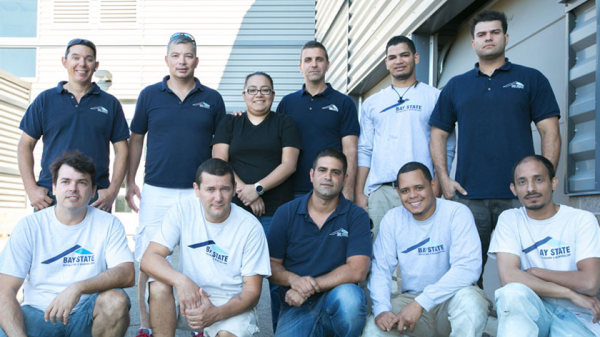 We stand behind our commitment to deliver exceptional service and results by offering one of the best remodeling warranties in the Boston Metropolitan area. Our guarantee lasts for 1 year beginning on the day your remodeling project is complete and covers all contract work performed by our team. Should any workmanship prove to be substandard, we will repair it free of charge within the 1-year warranty period, no questions asked. This guarantee extends to all materials used. Plus, if you’re planning on selling your home, our guarantee is completely transferrable! 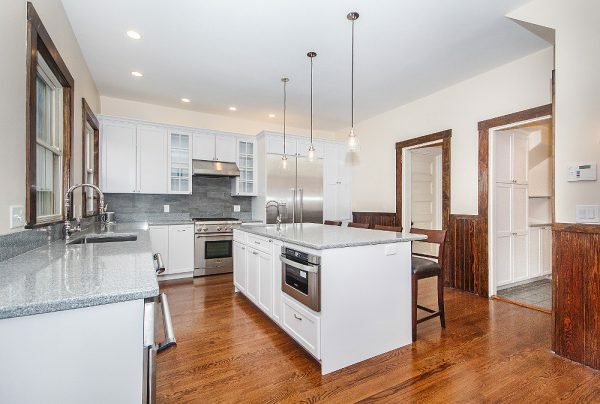 Since 1999, Bay State Refinishing & Remodeling has been providing superior refinishing, remodeling, and interior renovation services throughout Boston. “This was just about the best contractor experience I have ever had. (And I have had many.) I found Baystate via an internet search. From the first call with Ray, I immediately felt comfortable. The first meeting confirmed these were the contractors for this job. The work was done almost exactly according to the schedule we originally discussed, even considering a number of additions along the way. They made their jobs seem easy to me – and I know there were a number of issues to deal with in the design. Tell Us About Your Home Remodeling Project! From the initial estimate to the final inspection, our team is here to provide the highest level of service. Do You Offer Remodeling Services Near Me? We provide home remodeling services throughout the Boston metro area. We also frequently work on remodeling projects in nearby areas such as Arlington, Bedford, Belmont, Brookline, Cambridge, Concord, Dover, Lexington, Lincoln, Natick, Needham, Newton, Somerville, Waltham, Watertown, Wayland, Wellesley, Weston. The length of your general home remodel will vary depending on the scope of work. During our initial estimate, we’ll work together to create a timeline we both agree on. Your remodeling project completion date will be written in your contract, and we guarantee to stick to it! Can You Come to My House and Give Me an Estimate Today? We do offer same-day services, however we typically schedule our free project consultations about 3-5 days in advance. For your convenience, we do offer night and weekend service. I’m Not Sure Exactly What Design I Want. Can You Help? Yes! Our home remodeling services are always catered to your needs. We offer personalized service and communication through every step of your home remodeling project, including helping you identify the type of style and design you love. We’ll help you evaluate your space, understand your options, and outline important considerations.